Venetian Isles is a master planned, active adult community comprised of reasonably priced ranch villas and single-family homes. Situated in beautiful Boynton Beach, Venetian Isles was developed with the joint efforts of three highly reputable builders: Centex Homes, Lennar Homes, and Westbrooke. This gated community offers resale homes to suit buyers of all tastes. A variety of houses enjoy quiet cul-de-sac or desirable lake front living. Active adults in Venetian Isles have easy access to a vast array of shopping, dining, and recreational activities. On-site amenities of this resale community include a top quality clubhouse and a full-time activities director. 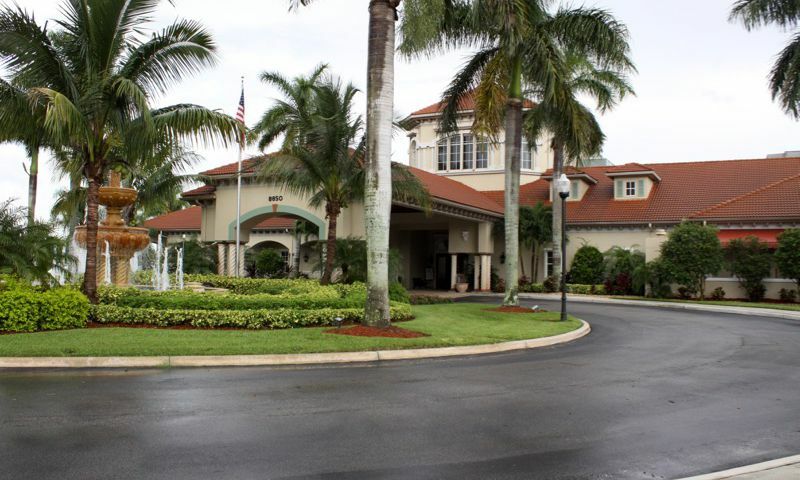 The clubhouse at Venetian Isles is called the Venetian Club. It spans 26,000 square feet and offers everything active adults need to stay fit and enjoy life. Indoors, residents have use of a state-of-the-art fitness center, an aerobics studio, sauna, a library with computers, billiards, theater, card rooms, arts and crafts studio with kilns, and a ballroom. Outdoors, residents can choose to participate in fun tennis matches, friendly bocce ball, or laid-back games of shuffleboard. Also, they can swim laps in the lap pool, get some exercise in the resistance pool or soak up some rays by the lagoon-style pool. There is also a putting green on site, perfect for practicing before heading out to sample the Boynton Beach golf courses. The Mediterranean-style residences at Venetian Isles are beautifully landscaped and were built with attention to detail over a three year period ending in 2003. Homes have two to four bedrooms and two to three baths. The upgrades vary and may include stainless steel appliances, granite counters, hardwood floors, tiles, crown moldings, custom built-ins and more. There are 784 spacious single-family homes with 1,526 to 2,316 square feet and 276 beautiful villas ranging in size from 1,276 to 1,480 square feet. All of the single-family homes are spread throughout the community's subdivision neighborhoods such as Palermo, Murano, Siena Lakes, Sorrento, and Corsica Park. The ranch villas are situated in the Terranova subdivision and are a very affordable option for active retirees on a budget who don't want to sacrifice a comfortable lifestyle. The monthly association dues include roving security patrol, basic cable TV, maintenance of common grounds, 24-hour guard-gated entry and use of all community amenities. Venetian Isles offers a resort-type lifestyle with all the amenities active adults have come to expect in a luxurious 55+ community. Residents enjoy a multitude of fun-filled activities and entertainment. There are over 50 clubs, groups, and classes on site; all overseen by a full-time activities director. Activity clubs include bocce, bowling, bridge, golf, shuffleboard, yoga, tennis, walking, and swimming. Cultural interests, such as opera, history, and performing arts are also represented. Off site, the area is rich in cultural events, educational opportunities and entertainment. Venetian Isles is located off Boynton Beach Boulevard just west of Florida s turnpike, only minutes away from hospitals, golf courses, restaurants, the Wellington Mall and other outlying shops. Wellington, Delray Beach, West Palm Beach, and Boca Raton are all towns of interest in the area. Horse enthusiasts will love Wellington as it is home to polo matches, the Winter Equestrian Festival and the International Horse Show. Delray Beach and West Palm Beach offer miles of sandy beaches. Nature lovers can enjoy the variety of Boca Raton s parks and preserves. Some popular destinations include Red Reef Park, Sugar Sand Park, Gumbo Limbo Nature Center, and South Inlet Park Beach. Residents 55+ can enjoy a fun active adult community along with resort-like amenities at Venetian Isles in Boynton Beach, Florida. Venetian Club - 26,000 Sq. Ft. There are plenty of activities available in Venetian Isles. Here is a sample of some of the clubs, activities and classes offered here. Villas are attached homes that offer 1,276 to 1,480 square feet of living space. These villas have two bedrooms, two bathrooms, and an attached one-car garage. Single-Family Homes built by Centex offer 1,526 to 2,246 square feet of living space. They have two to four bedrooms, two or two-and-a-half bathrooms, and an attached two-car garage. Single-family homes built by Lennar in Venetian Isles range from 1,625 to 2,316 square feet of living space. These spacious homes have two to three bedrooms, two to three bathrooms, and two-car garages. We just purchased a home here last year, our second choice was the nearby Palm Isles community. We ended up going with Venetian because the homes are newer and the community is smaller. Both had really nice amenities but we felt Venetian was nicer since the clubhouse was newer. Both places are really nice, we probably would have been happy with either decision but we do love it here at Venetian! 55places.com is not affiliated with the developer(s) or homeowners association of Venetian Isles. The information you submit is distributed to a 55places.com Partner Agent, who is a licensed real estate agent. The information regarding Venetian Isles has not been verified or approved by the developer or homeowners association. Please verify all information prior to purchasing. 55places.com is not responsible for any errors regarding the information displayed on this website.